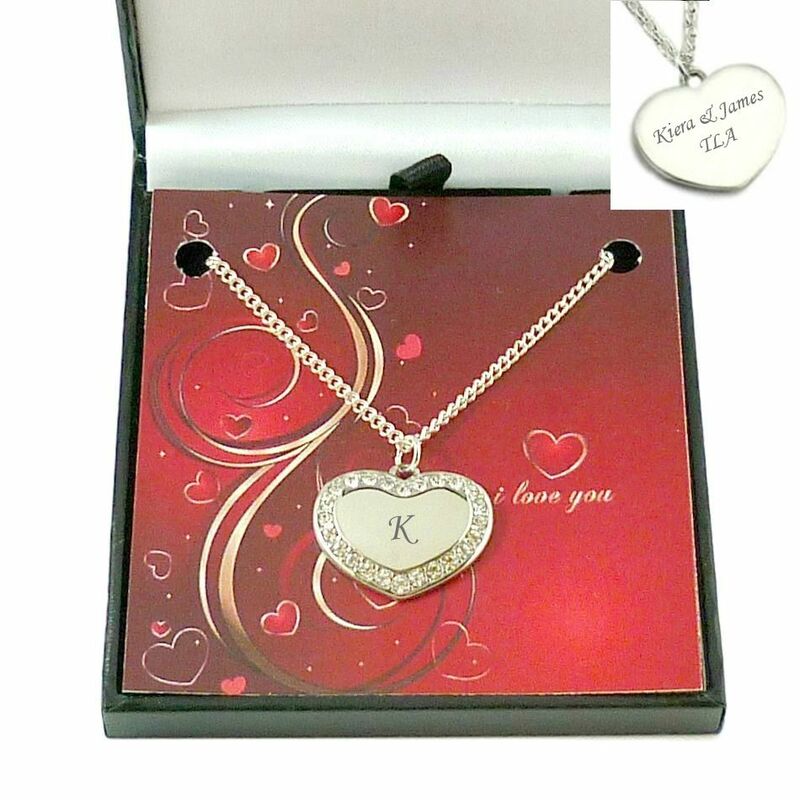 This gorgeous engraved heart necklace would make an ideal gift for Valentines day as it comes presented in a gift box with an 'I Love You' card mount and separate gift card for you to write on. The heart can be personalised with any engraving on one or both sides and there is a choice of colour depending on whether your loved one favours wearing rose gold or silver jewellery. Express Delivery is available on all our personalised necklaces! A lovely necklace with an engraved heart framed with Swarovski crystals. 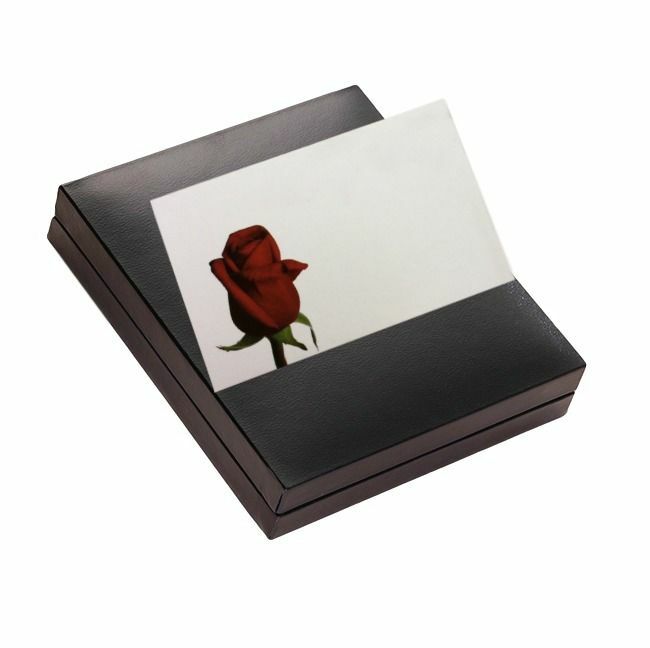 Presented in a padded and hinged gift box with the romantic gift cards shown. Metal Parts: High quality stainless steel heart with a rose gold or silver finish. 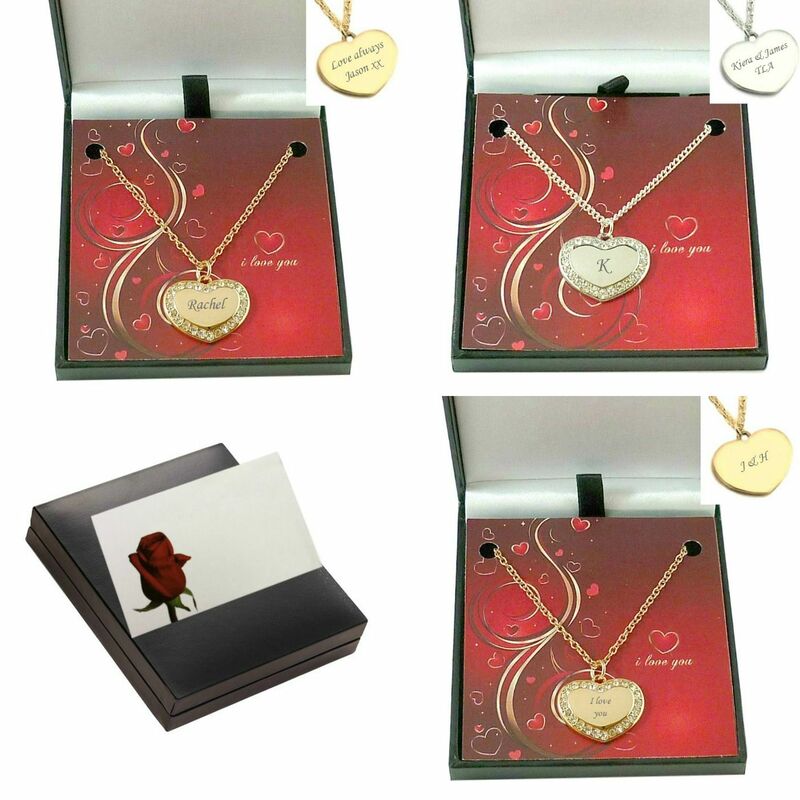 Why not browse our full collection of Valentines Day Gift Jewellery to find sentimental and unique gifts for someone you love.